Where is footy near you? 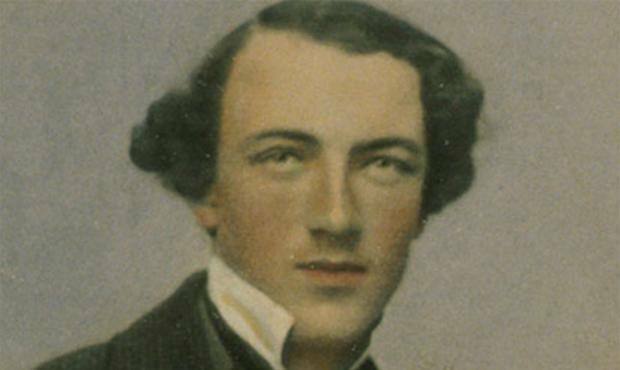 Tom Wills, the man credited with founding Australian rules football, will be recognised during Saturday’s Powercor Country Festival match between Essendon and Geelong, with the player adjudged best on ground receiving the Tom Wills Award. Wills was born in 1835 and grew up various regional areas on family owned properties. A great cricketer in his day, Wills is credited with co-writing the original rules of Australian rules football. Wills pushed for the establishment of a football code, and famously on 10 July 1858 his letter to Bells’ Life sports paper was the catalyst for the formation of the game we now know as Australian rules. Wills was a co-founder of both the Geelong and Melbourne Football Clubs and was involved in the formation of the VFA in 1877. Wills played around 170 games with the Cats and captained the club. “Tom Wills was an immense figure during his time and his legacy lives on through the great game of football,” Geelong president Colin Carter said. “Without Tom’s influence and drive, it is unlikely that the game would exist today. Tom was a visionary and from humble beginnings, we now boast one of the great sporting competitions in the world. Wills grew up in regional areas through his family’s ownership of property. As such it is fitting that the award for best on ground at the Powercor Country Festival bears his name." Essendon great Kevin Sheedy, who came up with the concept of the Powercor County Festival, echoed Carter’s comments. “Tom Wills to me is basically the father of our game, in many ways,” Sheedy said. “Somebody had to sit down with a group of friends and start writing the rules. The young man had some entrepreneurial skills, he saw the potential for a new game to help cricketers stay fit in the winter – pretty similar to how basketball started in America and I think in the end no one has really given Tom Wills enough credit. The panel will vote on a 3,2,1 basis. Kevin Sheedy will present the player judged best afield with the Tom Wills Award post-match on Saturday night.